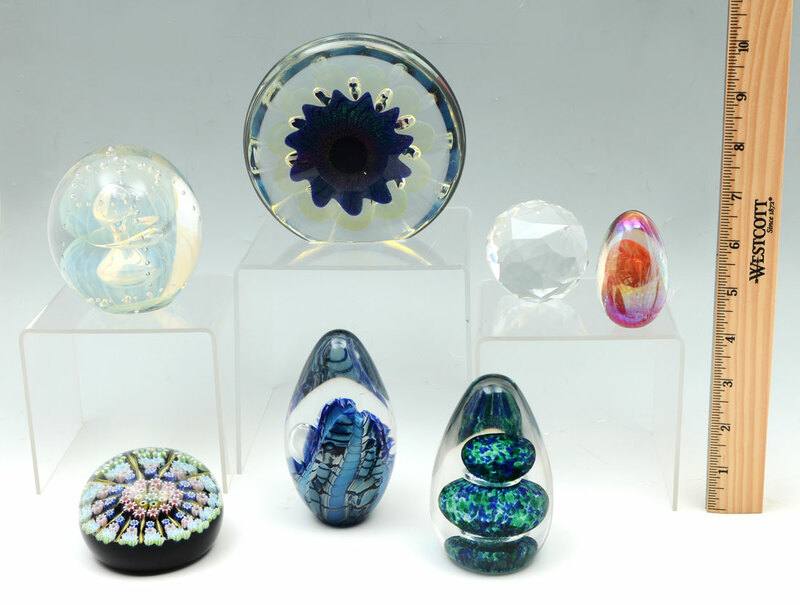 6 ART GLASS PAPERWEIGHTS: An assembled collection of 7 piece total. 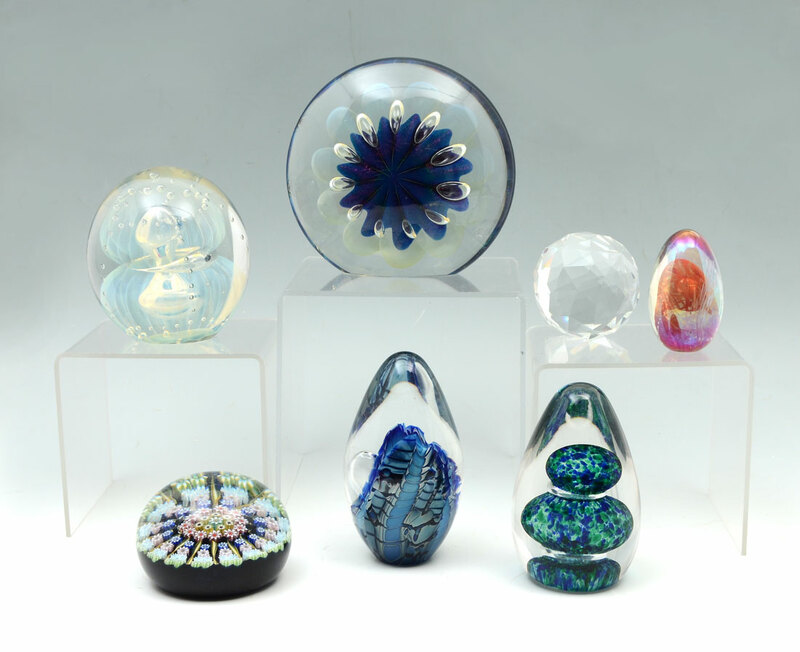 Signed Eickholt piece to include 1) Iridescent jellyfish design, signed WMAN, 1992, 3 1/2'' h. 2) Flat control bubble & blue flower design, signed DSU 1996., 4 3/4'' h. 3) Ovoid with blue ''waves'', signed ESCO, 1992. Other pieces to include 4) Small ovoid signed MSH '84, 2 1/2'' h. 5) Wedgwood ovoid, 3 7/8'' h. 6) Perthshire millefiori, 3'' dia. Sold with a faceted crystal globe drop. 2 1/4''.